From managing impulsive behavior, resisting distractions, and learning the art of delayed gratification, to regulating emotions in the face of conflict and feelings of discomfort, self-regulatory behavior is key to success in all areas of our lives, and since children with poor self-control tend to exhibit more behavioral problems than their self-disciplined peers, teaching children self-discipline is more important than we might think. We’re sharing some fabulous Zones of Regulation activities below to teach you how to do this both at home and in the classroom, but before we get to that, let’s take a deeper dive into emotional control and how the zones of regulation can help. Simply put, self-regulation refers to our ability to control our own thoughts, emotions, and behaviors in relation to our environment. Resisting emotional outbursts when something upsets us, focusing on school work, controlling our impulses, calming ourselves down when we feel worried or anxious, and transitioning from one task to another are all examples of self-regulation. What is the Zones of Regulation? The Zones of Regulation is a cognitive behavior based curriculum designed to help children learn how to regulate their emotions independently by teaching them how to identify their feelings and how their behavior impacts those around them. Developed by Leah M. Kuypers, the program teaches children how to recognize when they are in different emotional states called ‘zones’, which are represented by different colors. The Zones of Regulation uses activities to equip children with the tools they need to regulate their actions and stay in one zone (or move from one zone to another), allowing them increased control and problem-solving abilities. You can learn more about The Zones of Regulation – and why so many teachers and therapists swear by the program – on the Zones of Regulation website, where you will also find links to buy Leah’s book, smartphone app, and visual posters as well as sign-up for her training seminars. Of course, The Zones of Regulation isn’t the only tool you can use to help teach children self-control. There are lots of other strategies you can use to set a child up for success! This is especially important in young children. By explaining what the rules are, what’s expected, and what is and isn’t appropriate, and taking the time to give children regular reminders, you are setting them up for success. The easier the rules are, and the more consistently you reinforce them, the easier it is for kids to do what is expected of them. Visual schedules are great for children who thrive on routine and predictability as it helps set expectations at the beginning of the day, and for children who get ‘stuck’ with schedule changes, it can help prepare them ahead of time. By giving children a visual representation of what their day will look like, you are empowering them by allowing them to look to the visual schedule and move from one activity to the next without prompting. The Easy Daisies Grade 1-7 Classroom Schedule is one of my favorite classroom tools! Reinforcement is a fabulous technique parents and teachers can use when a child is demonstrating behavioral problems as a result of poor self-regulation, and while both positive and negative forms of reinforcement can help teach children self-control, research tends to suggest that positive reinforcement – the act of rewarding a child when he completes a desired behavior as a means of increasing the likelihood he’ll repeat the behavior again – is the most effective. Of course, rewarding students for doing what is expected of them isn’t always a preferred teaching method, but something simple like giving praise in front of the entire class, making a child the ‘Star of the Day’, or allowing a child to stand first in line after demonstrating effective self-control can make a huge difference. Practice deep breathing. It’s no secret that taking deep breaths can help restore a sense of calm when anxiety hits, and a great way to teach this concept is to have children blow bubbles when they’re feeling anxious. Start by giving each child their own bottle of mini bubbles to practice, and once they’ve mastered the concept, have them practice blowing bubbles without the wand. This will give them an effective coping strategy they can use when big emotions threaten to take over during the school day (and beyond)! Use rewards. We all know kids are motivated by rewards, and a sticker chart can be extremely effective for kids who struggle with self-regulation. Of course, creating separate sticker charts for each student would be a bit labor-intensive, but creating a classroom sticker chart whereby every student can earn stickers for the entire class by demonstrating emotionally-appropriate responses (i.e. sitting quietly during circle time, lining up at the door when the school bell goes off, helping to clean up after an activity, etc. ), and organizing a special treat for the whole class to enjoy once a certain number of stickers has been earned can get everyone excited! Create a calm down box. Another way to help children learn self-regulation is to equip your classroom with a calm down box. Fidget toys, squeeze balls, and chewing gum are all great classroom-appropriate ideas that can help reduce feelings of anxiety and restore a sense of calm. Having a designated area within your classroom where students can take a break when they feel overwhelmed is a great way to help keep emotions in check. This may require a bit of prompting from you at first (‘I notice you’re feeling a little frustrated. Why don’t you go to the Calm Down Corner for a few minutes?’), but teaching children how to recognize their emotions and equipping them with strategies to calm down before things get out of hand is extremely valuable. In a classroom setting, transitions tend to be fast and furious. One of my friends is a kindergarten teacher and she once told me her class can have up to 18 transitions in ONE day, which is hard for any child, particularly those who struggle with self-regulation. The good news is that we live in a day and age where IEPs are becoming much more common, and finding ways to slow down transitions is key for children who struggle. This may mean that some children participate in fewer activities throughout the day, but if it helps them cope with their environment and lessens negative reactions, it is definitely a strategy to consider. Teachers Pay Teachers offers all kinds of helpful activities and games to help kids work on specific skills, and this Uno-inspired match-up game presents thought-probing questions about emotions, situations, and strategies which not only serve as an excellent teaching tool, but also helps foster conversation skills! If your child struggles with emotional regulation, this is a great activity to explore. It’s based on the movie Inside Out, and these Inside Out figures provide so many opportunities to teach kids about anger, sadness, fear, disgust, and joy! 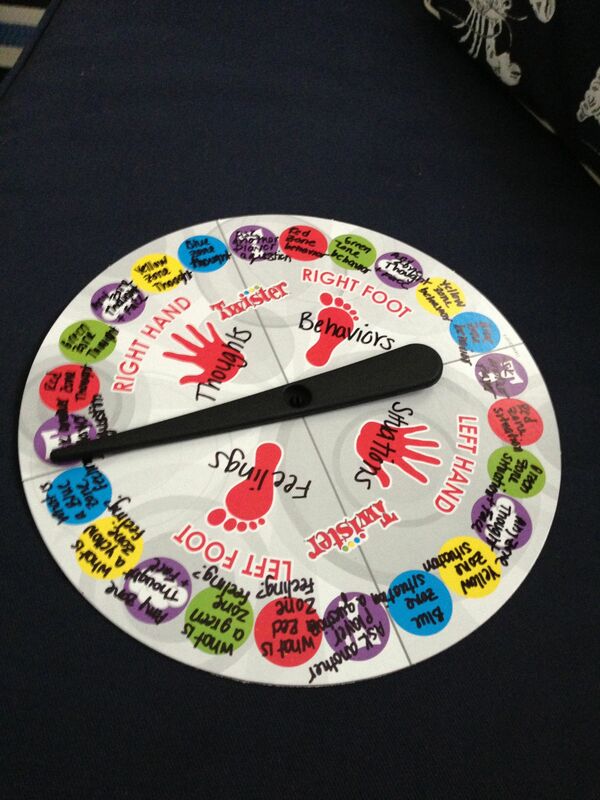 This is a super fun activity, and it’s included in the Zones of Regulation book. All you need are some colored plastic counters, and you can enjoy this game with your kids over and over again. Self-Control Bubbles | Love, Laughter and Learning in Prep! If you want an excuse to get outside and enjoy some sunshine with your little ones, grab a couple of bottles of bubbles and give this self-control activity a try! This is a great activity for kids who struggle to distinguish between big and small problems as well as appropriate reactions. This is another self-regulation activity based on the movie Inside Out and I love it. All you need is a printer and these Inside Out figures and you can have heaps of fun with your kids while teaching them all about emotions. If your kids enjoy the classic game Twister, this is a great activity to try and you can set this up so many different ways. For example, when your child puts a hand on a certain color, he must tell you about a time he was in that colored zone, and when he puts his foot on a certain color, he must tell you about a strategy he used while in that colored zone to help him get back to the green zone. Emoji cards are a fun way to teach kids about emotions and self-regulation, and this activity on Teachers Pay Teachers offers various different games you can engage your children in. Calm down jars are an easy self-regulation tool you can make at home, and I love the ideas of making a jar for each of the different zones of regulation. All you need is a few clear plastic water bottles, water, food coloring, glue, and glitter! This is a simple, yet effective idea to not only help children express the emotions they’re feeling, but the degree to which they’re feeling them. All you need is a jar, a sharpie, and a bunch of different colored pom poms! With modifications, this activity can be used for kids of all ages to help identify which situations put them in each zone, what strategies or tools get them out of each zone, and the feelings they experience within each zone. This is a great tool to help kids recognize when their feelings within a certain zone are escalating so they can learn the warning signs and come up with coping strategies. Grab some colored hula hoops and a few bean bags and give this super fun zones of regulation activity a try! If you have a copy of the classic, or even one of the newer versions of the game Operation, Speech Paths has a great way to turn it into an emotional regulation skill-building game the whole family will enjoy! If your kids love scavenger hunts, this activity offers a great way to teach them about emotions while on the go! This is a genius way to help kids identify how to calm themselves within each zone, and offers a compact, visual reminder they can keep with them at all times. Teaching children self-regulation is no easy task, but mastering the art of self-discipline and self-control is one of the most valuable things a child can learn. 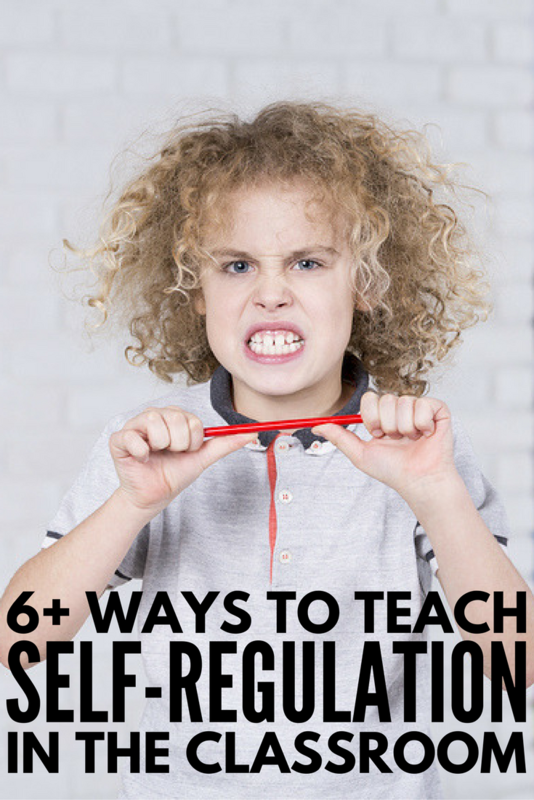 I hope my tips for teaching self-regulation in the classroom (and beyond), as well as these Zones of Regulation activities prove useful to you! If you found these self-regulation strategies and Zones of Regulation activities helpful, please share this post on Pinterest! And if you’re looking for more ways to have fun with kids, please follow our Kids board, where we share all kinds of fabulous ideas!